Sometimes senior citizens need to move or relocate too. They may decide to move to a community of retirees, into a new home or apartment, or an assisted living facility. Moving for the elderly, disabled, or seniors can be a really stressful time and it can also be a bit confusing for seniors. You can sit back and relax while our caring expert moving team does it all. Our moving crew is friendly and professional and they take their time in explaining the moving process in plain details to those who may not understand. 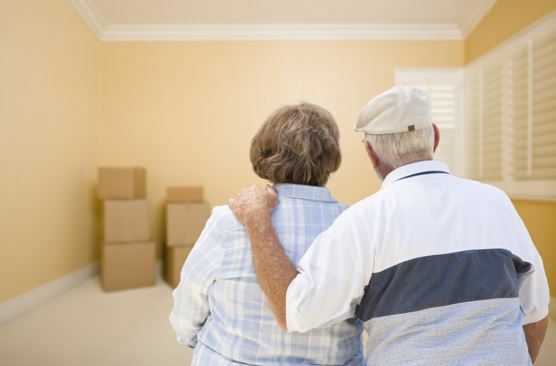 Our company can make the moving experience a very enjoyable one for senior citizens. Our licensed and insured local and long distance moving company provides complete moving package deals, senior discount, and more to help those seniors, elderly, or disabled save some bucks. We can schedule a free consultation and come directly to you and start making plans for the moving process. We will ensure that you have a senior moving checklist so you will not forget anything behind. Every senior that chooses us to move them are assigned a senior moving specialist to help keep things running smoothly. We make things simple and easy when it comes to moving seniors. We love to speak with our clients and accept comments or complaints as a way of improving our moving business and that is what makes us the best moving company in the area. Our company moving crew has been specially trained to deliver senior moving assistance. We have senior moving specialist on all and these experts are caring professionals who take time in helping make sure seniors are well cared for during the moving trip. Senior citizens moving requires a lot more care and concern. Many of the seniors have special needs like transporting or moving medication, medical equipment and more. Some medical equipment can be dangerous like oxygen tanks. We place all seniors and their moving items at top priority for safety, care, and concern. We highly specialize in senior moving care and you will not finds another moving company in the area that does. If you are elderly, disabled, or a senior and feel you may be interested in our professional senior moving service then just give us a call and we can schedule a free consultation to help determine the price of moving by offering you free quotes or estimates, help you plan your move and more. Our senior moving franchise has expert movers that have been formally trained in senior care moving. You can start planning your move today and by filling out the short contact form and one of our reps will contact you shortly. If you prefer to speak to someone, then just give us a call. You should not have to worry about how much does movers cost because we apply senior citizen discount to help you get the lowest affordable price along with a complete guarantee. Our u-haul service can make things really easy.